The latest news on the IRS scandal; the corrupt Department of Justice is refusing to file charges against the corrupt Internal Revenue Service officials who persecuted conservatives. I repeatedly called on then Attorney General Holder to appoint a Special Counsel to conduct the investigation to ensure a fair and thorough process but instead the investigation was led by a loyal Democratic donor. Even as far back as last year unnamed DOJ officials leaked information to the media suggesting that the Department did not plan to file criminal charges over the IRS’s targeting of conservative groups. […]When an Inspector General’s audit found that IRS agents had targeted Tea Party and other conservative groups during the 2010 and 2012 elections in their applications for tax-exempt status, a firestorm ensued. Multiple investigations by congressional committees focused primarily on Lerner’s part in the activities, with investigators discovering her emails that denigrated Republicans. Subsequently, the House voted to hold Lerner in contempt of Congress in 2014 following her refusal to answer the Oversight Committee’s questions. The article does not mention what happened to True the Vote, so I want to remind everyone what the IRS persecution of conservative groups really looks like. And of course, the mainstream media covered up for the IRS, because the laws don’t protect everyone equally. Interesting that the loudest mouth at the Benghazi hearing was actually the driving force behind the use of the IRS as a weapon against Tea Party groups. New IRS emails released by the House Oversight Committee show staff working for Democratic Ranking Member Elijah Cummings communicated with the IRS multiple times between 2012 and 2013 about voter fraud prevention group True the Vote. True the Vote was targeted by the IRS after applying for tax exempt status more than two years ago. 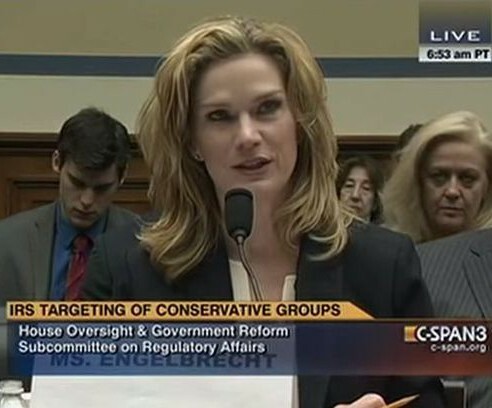 Further, information shows the IRS and Cummings’ staff asked for nearly identical information from True the Vote President Catherine Engelbrecht about her organization, indicating coordination and improper sharing of confidential taxpayer information. And this is why, when conservatives like me are asked which departments we would abolish at the federal level, so their responsibilities can be pushed down to the state level, we typically answer: The Department of Education, the Environmental Protection Agency, the Department of Energy and the Internal Revenue Service. As for the Department of Justice and the Federal Bureau of Investigation, we need a housecleaning of all the executives to ensure that they are professional and non-partisan in the execution of their duties. There is some good news: The House Republicans are impeaching the Commissioner of the IRS John Koskinen.